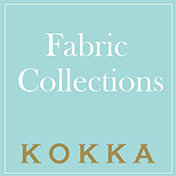 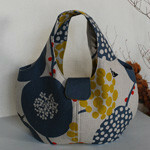 KF Kokka Fabric (KF): What did you think of the fabric you used for this project? 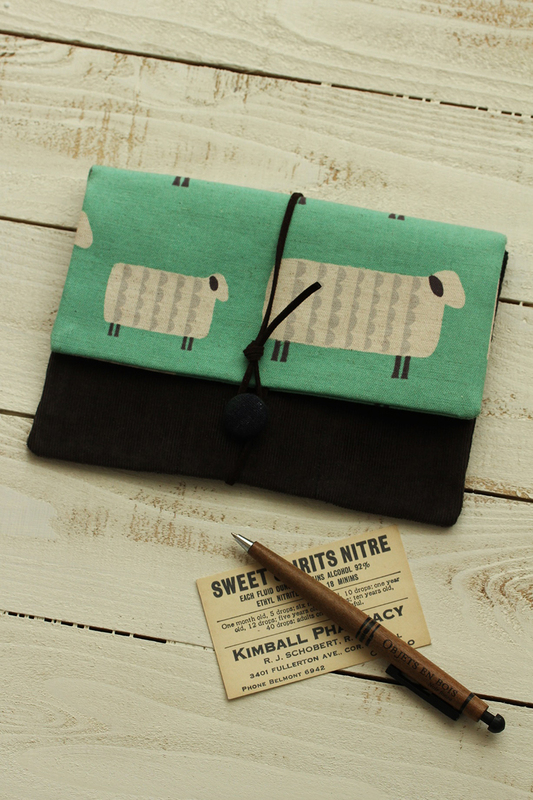 It has a stylish design with aligned sheep, this year’s Chinese zodiac sign. 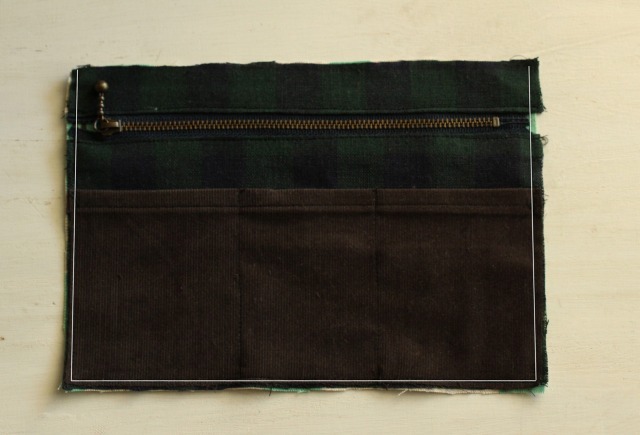 The color combination of soft green and brown is beautiful. 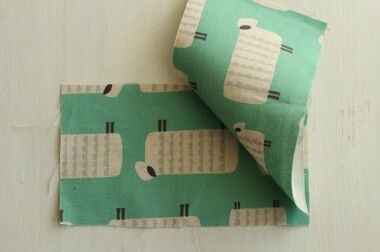 You can see tiny sheep here and there in the design, and I find it so cute. 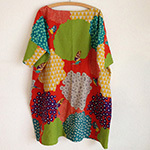 I cut the fabric so that this design will become the focus. 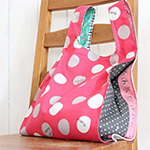 Pockets with partitions and a zipper pocket are featured. 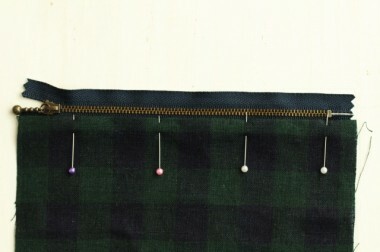 For the button, I created a covered button. 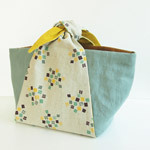 Rather than using a variety of fabrics, it looks cohesive if you limit the number of designs. 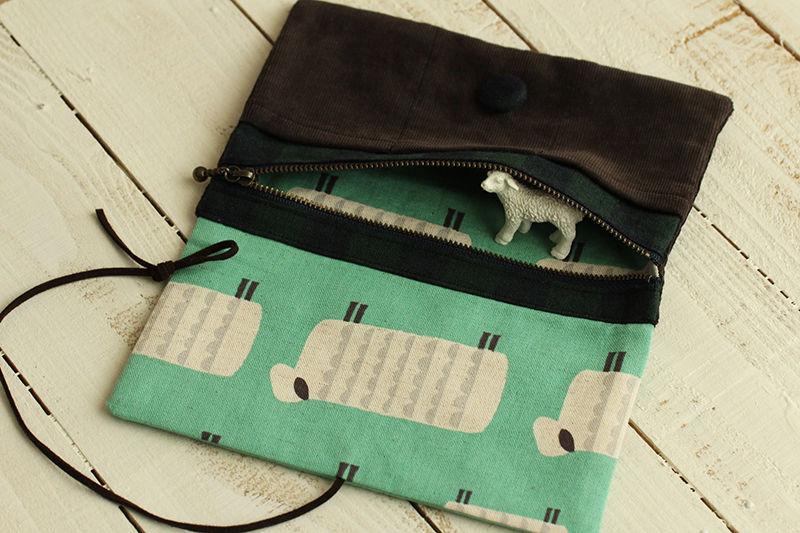 KF: What are some tips for making this pouch? 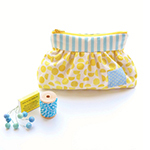 KF: How should we use this pouch in everyday situations? 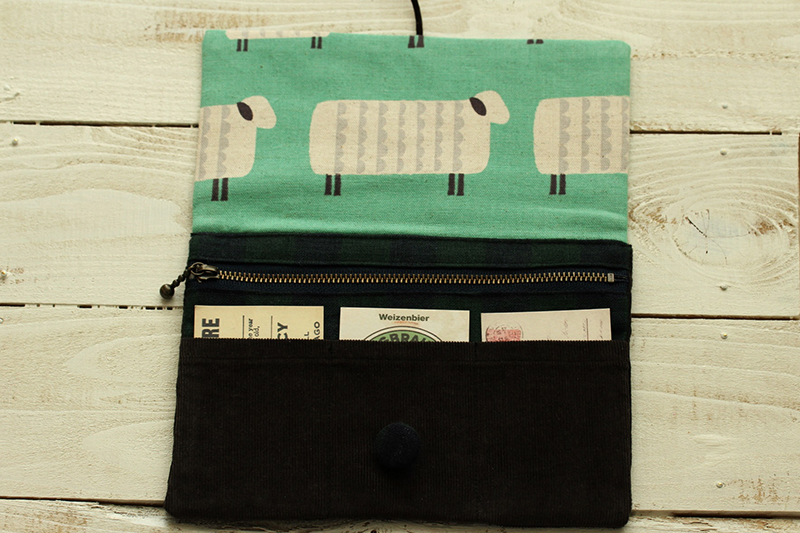 You may use it to carry your bank documents. An account book fits in the zipper pocket. 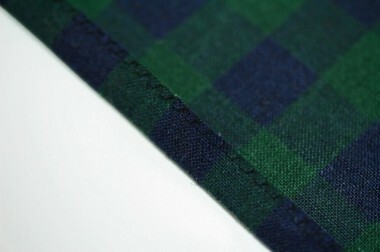 You may find it difficult to select fabrics as there are many parts. 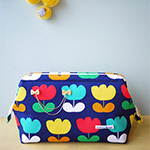 I personally narrowed it down to three different designs. 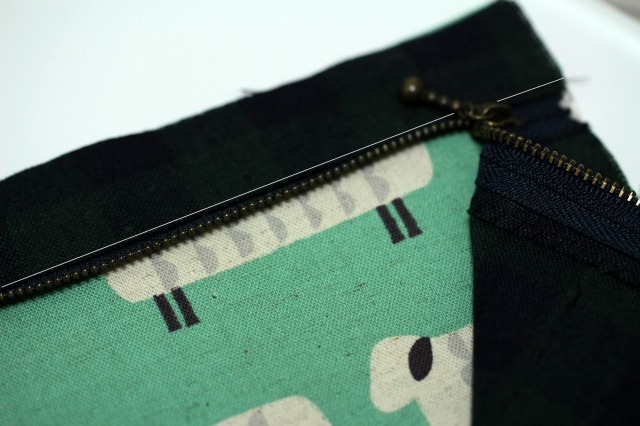 I chose a patterned fabric for the lining fabric for the zipper pocket (bottom right) so that the sheep will peek out when you open the pocket. For the flap, adhere fusible quilt batting (bottom center). For the flap, you use the sheep pattern for both outer and inner side. 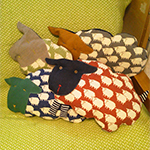 To align the direction of the sheep when you open the flap, it is sewn together with the patterns upside down. 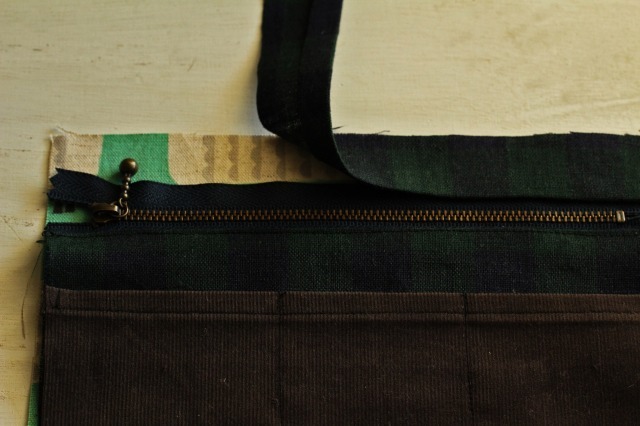 The edge of the zipper pocket bottom fabric is finished with zigzag stitches. 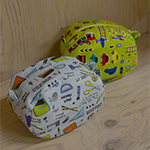 Fold it for 1.5cm and iron. 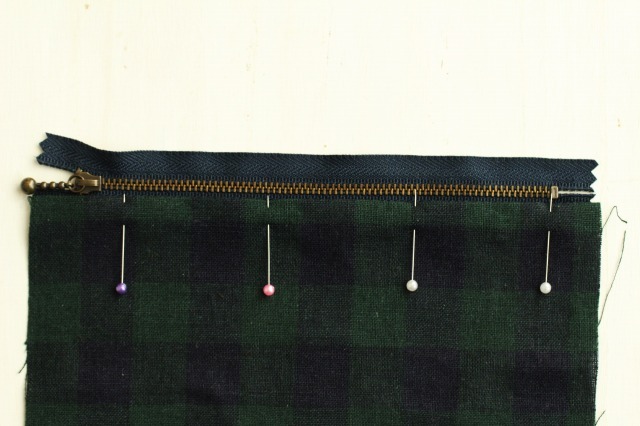 Place the fabric from Step 3 on top and pin it to the zipper. Sew them together at 2-3mm from the edge of the fabric. 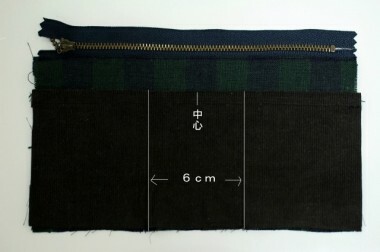 Stitch vertical straight lines, 3cm from the center on both sides. 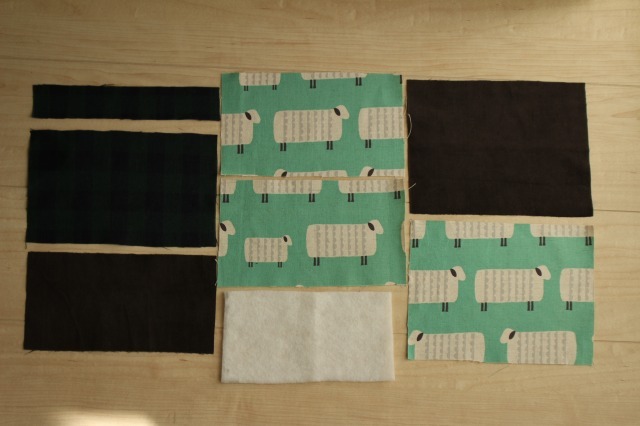 Place the fabric from Step 5 on top of the pocket lining fabric (sheep pattern). Put the top strip for the zipper (fold the 4cm wide strip for 1cm from the edge and iron) on top.